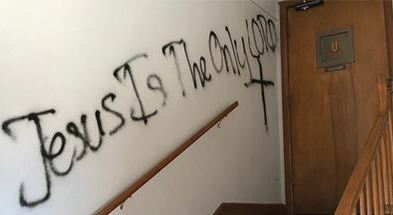 American Hindu community is in shock after a Hindu Temple of Louisville, Kentucky, was vandalized by radicals this week with hate-filled slogans in what the police are calling ‘ hate crime’ directed against the Hindus. The attack reportedly happened sometime in between the mornings of January 28 and 29 when the unknown radicals broke inside through a window at Louisville’s Swaminarayan Temple leaving the glass shattered on the floor. 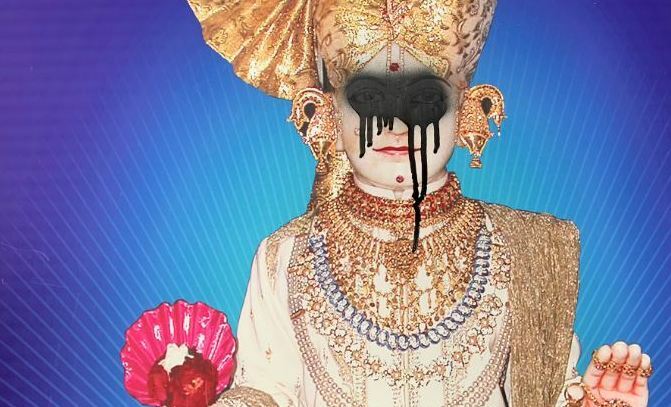 Black paint was painted on the Hindu God (reportedly Swaminarayan Himself), crosses were painted on the walls, and messages such as ‘Jesus Is The Only Lord’ and “Jesus Is All Mighty’ were painted on the walls. It is unclear how many radicals were involved in the crime so far. Louisville Mayor Greg Fischer has called people en mass to attend a clean-up gathering at the Swaminarayan Temple Louisville KY USA (4032 Bardstown Rd, Louisville, KY 40218). This, however, is not the first time that the Hindus have been targeted for their faith.